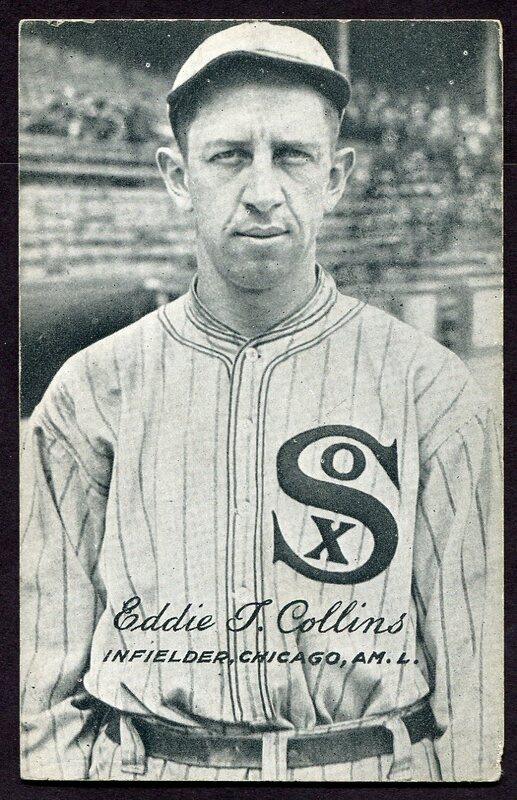 1921 Exhibits Eddie T. Collins, longtime Philadelphia A's star, now with the White Sox, which he would also Manage. 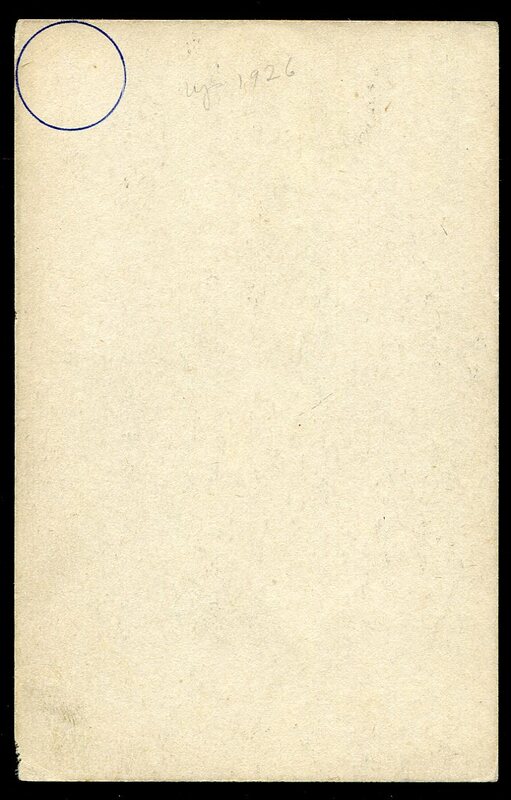 Crease free, a small ink circle on the back with a lightly penciled "mgr 1926". 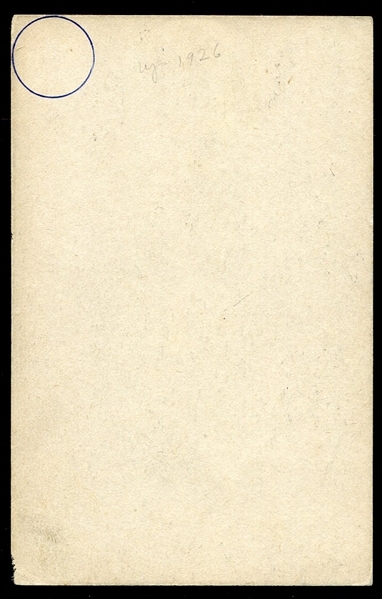 Overall VG appearance.